We got a 22 knot breeze blowing out of the true NNW. We got a full moon, with tides predicted to be 1.2 feet lower than normal even before we got the breeze. We got ourselves a blowout tide, baby! And we got a bunch of clams to show for it. In February. Just when all the nonsense gets to be a bit much, grace intercedes. We got blown about around a bit today, my Uncle Bob and me, but we got clams to show for it. 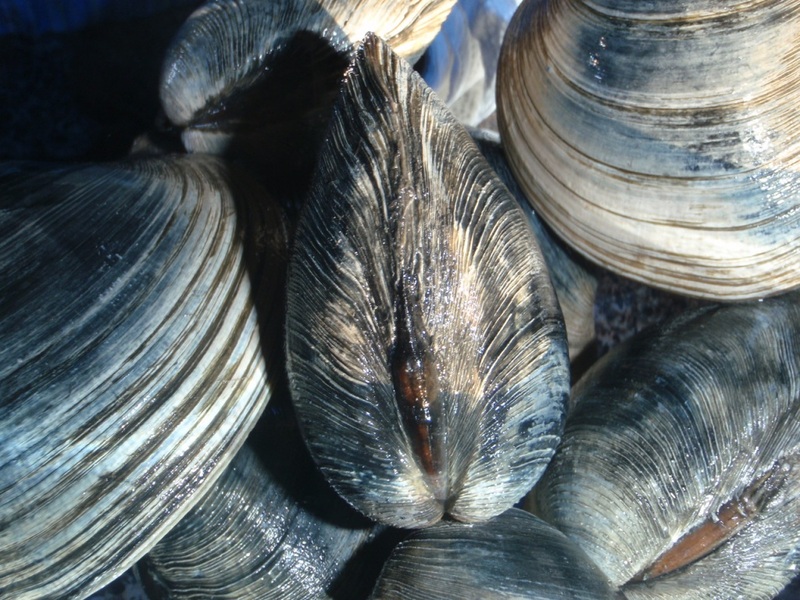 The photo is of some of the clams raked today. Clams in February. Life is good.